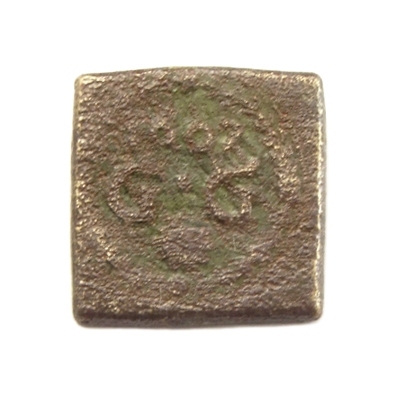 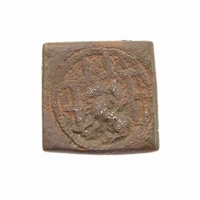 A square coin weight for weighing a Portugese Cruzado, made in Antwerp in 1607 by Gerrit Geens. 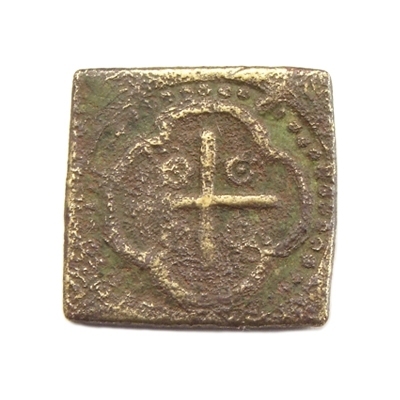 Obverse: Cross with four pellets in quatrelobe. 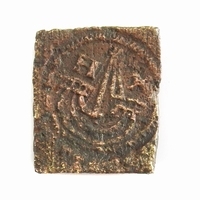 Reverse: Initials G G, date 1607 above, shell below.